120,000 ramp & car toys. Click on each of the above to see images in the Health Canada website. Good night! Robert Munsch, Richmond Hill Centre for the Performing Arts on Oct. 23rd. Junie B. Jones, Richmond Hill Centre for the Performing Arts, Nov. 26th. Splash’n Boots, Richmond Hill Centre for the Performing Arts, Dec. 28th. Franklin is coming to Sony Centre on Oct. 23rd. Wiggles, Rogers Centre, Oct. 24th. Use the code BTFUN1 to get a discount on family tickets sold by Ticketmaster. This promo code is valid until Oct. 1st on only some of the family shows, try it. Sale is on until Saturday, Oct. 2nd. Use promo code 48HOUR. Mamapicks visited the lodge with the kids last year in the dead of Winter and it brightened up her life instantly. The kids had an incredible time! Mastermind Coupon – 25% off one item! This is the best Mastermind coupon which comes out once a year. Valid Friday – Sunday. Click to print your copy. Coming up on my list of “greatest things since sliced bread” is the Bugaboo iPhone Holder. The iPhone is not just a phone – it is your GPS system, MP3 Player and so much more. It’s a lovely thing to have on your stroller dashboard. Can’t wait to get mine. Found it here for $35 but am planning to get it for less…perhaps on e-bay? Will keep you posted. Saturday, Sept. 25th, 9am-6pm. New generation of Britax car seats will be on sale. Bring your car seat for professional installation for $20. A lovely reader notified me that this coupon is not accepted at Cineplex Odeon since it is a one-use coupon which someone sent around. I apologize if this caused anybody inconvenience or shattering disappointment. There is a way to get the coupon if you purchase energizer batteries. Please click here to find out how to obtain your own coupon. Pretty soon, ice cream won’t be so much fun. Take your kids for a final summer cone and get a free single-scoop with purchase when paying by Visa. Read more and print your coupon by clicking on it! Nesting Blocks are an absolute must-have! Perfect for a one-year-old’s birthday…and will still be a hit when they are three. Kids love building towers and this set in particular is beautiful. Get there early on Saturday before they run out! Click on the coupon to print your copy. You know I am a sucker for art festivals…kids love them too. Queen West Art Crawl is taking place this weekend. More than 500 artists will exhibit their work in locations along Queen Street West from Bathurst to Roncesvalles. Parks, galleries, cafes, retail and design shops and studios will be getting into the act with art exhibitions and activities. Use this coupon ON TOP of the existing 30% off sale that is currently on at Old Navy until Sept. 23rd. Coupon can be used for one item. 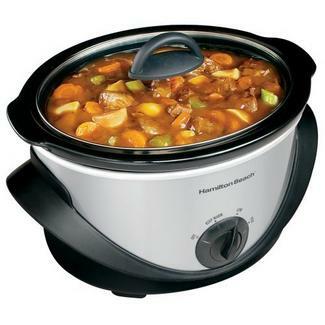 Just in time for the new school year, your best investment will be a slow cooker. I bought one 6 years ago and it sat in a box in the garage and thankfully, Sears wouldn’t take it back. Last year, I opened the box and started slow cooking. I must say that nothing feels better than throwing together a few ingredients in the morning and having a savoury dinner ready by the afternoon with no work in between. Nothing. My American friends don’t remember what it’s like to shop at a store. They order everything online and return most of it too. With free shipping and returns, I can see the convenience. Now available in Canada for Gap, Old Navy & Banana Republic. 30% off sale items at Stylekid. Use code SALE3o at checkout, valid until Saturday, Sept. 18th. Click on the coupon to read and print your copy. As I already mentioned this week, Old Navy is having their great baby sale with 30% everything. With this coupon, you can get an additional 30% off one item. Exciting. I love H&M for their style and great pricing. I always come out with a Hello Kitty something or other for The Girl. Never have I seen a coupon for H&M! If you are a iPhone or iPad user, you an get a 20% off coupon for one item. 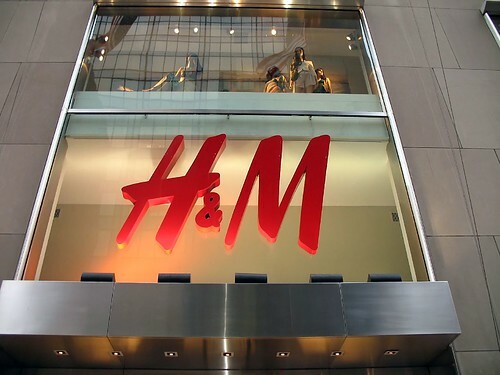 The free H&M app (search the App Store for “H&M” on your device) contains a hidden coupon. Just open the app and shake your device until the coupon pops up! Valid until Sept. 23rd. Sale is on until Sept. 23rd. 40% off great restaurants in the GTA! If you buy a costume at Old Navy, you have their generous return policy (90 days) on your side. Better get the right size before they sell out. Another great place to get costumes on a budget is Winners. They bring in a great assortment of costumes…and they are so cheap that adding them to your kids’ costume trunk is always fun. 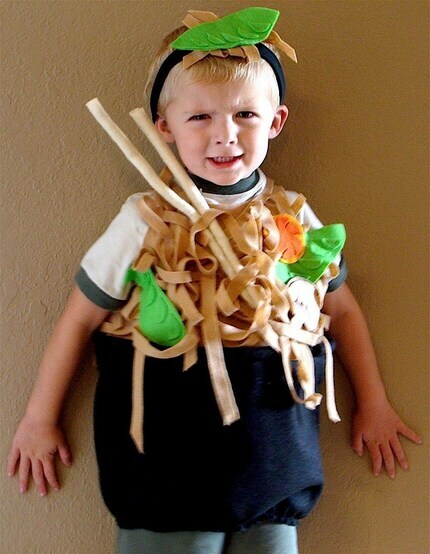 Last but not least, for something totally unique, Etsy is a great place for hand-made original costumes (like the noodle bowl above).